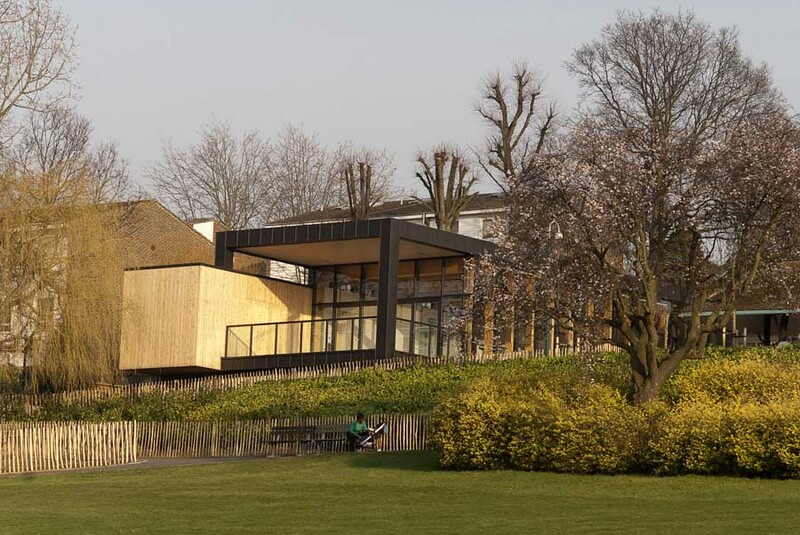 The Horniman Museum and Gardens has appointed Studio Egret West (SEW) as its Master Plan architects, to develop proposals for a series of discrete projects to support the development of the south London attraction’s estate and properties. SEW is a growing practice of international architects, urban designers and landscape architects who have delivered a wide variety of successful framework projects over the last 14 years. Led by Founding Director David West, SEW’s team will work in collaboration with specialists from management consultancy Fourth Street, Expedition Engineers who will look at structural engineering and sustainability, and heritage consultant Michael Copeman. SEW have six months to develop their recommendations and hold public consultations, with the results to be presented to the Horniman’s Trustees in July 2019. Studio Egret West (SEW) was founded in 2004 and has designed and delivered numerous high quality place making projects through the symbiosis of memorable architecture, strategic urban design and ecology-driven landscape; with the public realm prioritised as the foundation of sustainable communities. 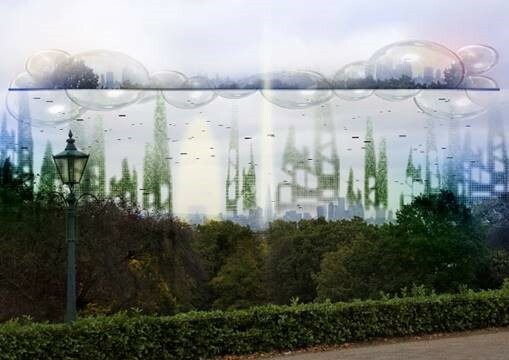 The National Trust, the Horniman Museum and Gardens, and Bompas & Parr have announced their winning entries for new interactive installation, ‘The Imminent Diorama’, which will allow the public to see one of London’s finest unprotected views of the city at the Horniman, as it appears now and as it could appear over the next eighty years. On 31 May, the Horniman Museum & Gardens will reopen its 16.5 acre gardens to the public after a major £2.3M redevelopment. The project, which was masterminded by landscape architects Land Use Consultants, has taken 16 months to complete. It marks an important point in the history of the gardens, which were first opened to the public by Horniman Museum founder Frederick Horniman in 1895. Following decades of piecemeal alterations, funding from the Heritage Lottery Fund and Big Lottery through the Parks for People scheme has allowed all major areas of the Gardens to be improved. The completed project has enabled the layout of the Gardens to be viewed as a whole, revitalised much-loved aspects and strengthened the ties between the Museum’s collections and its surroundings. The most significant new development is the introduction of a Gardens Pavilion designed by Walters and Cohen, which will host school groups, conferences, lectures, and public performances. The contemporary timber building features floor to ceiling windows, a living roof and a spectacular outdoor terrace with views of the London skyline. 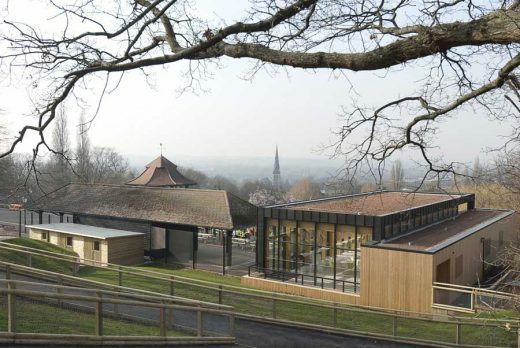 The building, situated in the heart of the Gardens, will build on the Horniman’s educational reputation, giving students close up experience of animals and nature. The Gardens Pavilion is heated by a ground source pump allowing the Horniman to reduce both its carbon footprint and utility costs. 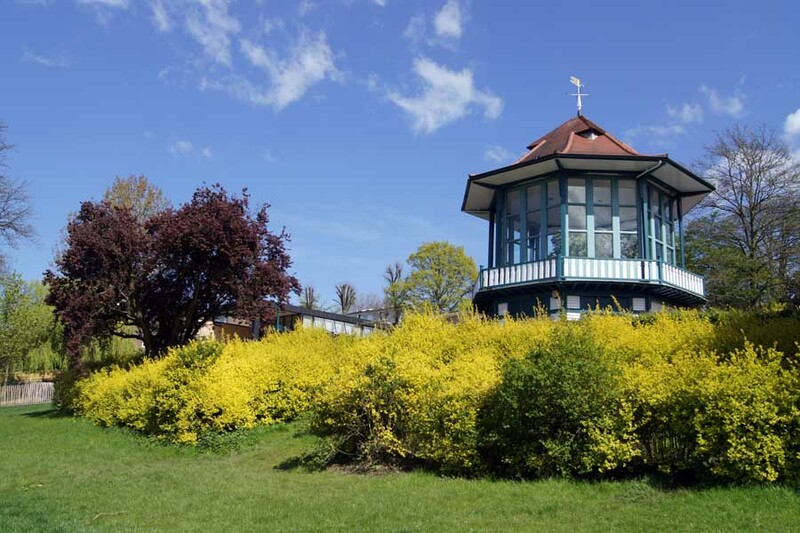 The Horniman will develop many more diverse wildlife activities and scientific sessions including pond dipping, fungi walks, mini beasts hunts and landscape painting using the Pavilion and the adjoining nature trail. Next to the Pavilion, a newly developed Animal Walk will be home to alpacas, goats, sheep, chickens, rabbits and ferrets which will be introduced gradually to the space. Visitors will be able to walk right through the centre of the new area for a close up view of the animals. The Horniman first developed an animal enclosure forty years ago and it has remained one of the most popular parts of the gardens for young visitors, providing a vital connection to the natural world in an urban setting. The new Animal Walk relates to the Museum’s Natural History collections, exploring the links between domesticated animals and their wild counterparts. It looks at why people live alongside domesticated animals and how our relationship with animals has changed. Across the terrace sits the bandstand, designed by Charles Harrison Townsend, the architect of the Horniman’s landmark 1901 clocktower. The bandstand has been given a new lease of life with oak floorboards and the restoration of the original weather vane. The impressive views from the bandstand, which for decades have been masked behind screens, have now been restored, with new glass panels evoking its heyday a century ago and allowing the London skyline to once again become a dramatic, living backdrop to both professional and community music performances. Alongside the bandstand sits one of the oldest trees in the Gardens, a 300 year old Oak newly revealed by the re-landscaping of the terrace, while opposite sits the Dutch Barn newly restored, with open ended sides as per its original 1895 design, to provide shelter from the elements. The Dutch Barn will also be used as a green room for performers and a picnic space for groups. Elsewhere, Horniman gardeners and curators have collaborated to redefine the award winning formal and natural display gardens. 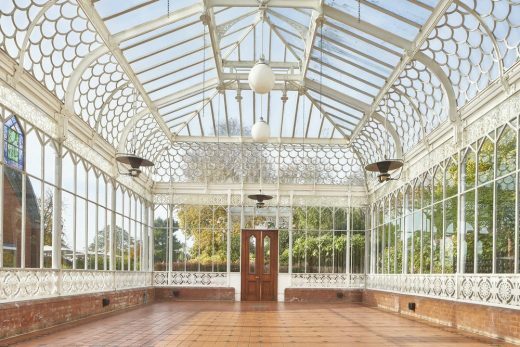 Several new gardens have been created to strengthen the links between the interior and the exterior of the Horniman. The Sound Garden is a brand new musical play area, inspired by instruments from around the world which features a series of immense musical instruments including a xylophone wall, bat pipes, drainpipe drums, and a spiral scraper. The area reflects the Horniman’s Music Gallery, which encourages visitors to try out different instruments and experiment with sound and tone. Sweeping down from the Sound Garden, the Sunken Garden now features a reflection pool surrounded with a palette of plants and flowers used to make dye. Built in 1936 in the Arts and Crafts style, the outer beds are now a showcase for dozens of dye plants grouped according to the colour they produce. In the summer, the central beds will contain species like marigold and dahlia, which produce orange and yellow dye. Inside the Museum are many colourful objects made in many cultures from around the worlds using natural dyes. The Food Garden celebrates plants from all over the world which thrive in the south London soil and climate and will include tips for growing crops. New labelling traces the international origins of familiar foods, and highlights links to objects in the Museum. “When the project opens we will be showcasing wonderful new planting displays, many linked to the Museum collections. 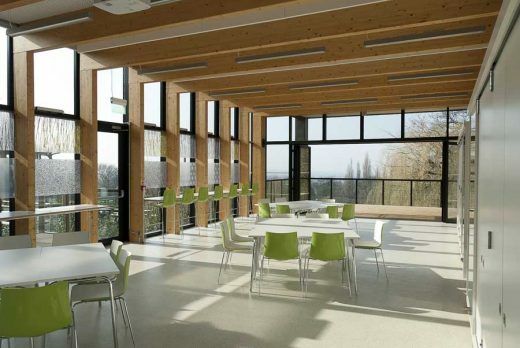 This is alongside new facilities, including a graceful Pavilion building, a refurbished bandstand, an Animal Walk and a Sound Garden with giant musical instruments. Travel: The Horniman is situated on the South Circular Road (A205) in Forest Hill. It can be reached easily by train to Forest Hill from Highbury and Islington, Whitechapel and Canada Water (on the new London Overground line), London Bridge (13 minutes), London Victoria, Clapham Junction and East Croydon, and by local buses (176, 185, 312, 356, P4 stop outside). There is also limited free parking in surrounding streets. The Horniman Gardens came into being as the result of the philanthropy of tea magnate Frederick Horniman and his son Emslie. In 1868, Frederick bought a villa, Surrey House, on the London Road some 300 yards from Lordship Lane station on the London, Chatham and Dover Railway Line. 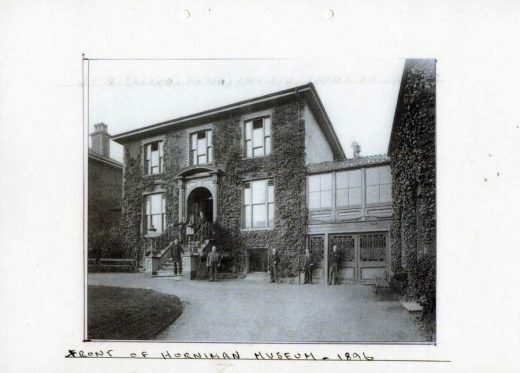 From opening part of his house as a museum in the 1880’s, Horniman was committed to providing access to the local community to his collections of natural, historical and ethnographical artefacts and his gardens as a learning opportunity. Horniman opened his gardens to the public in 1895 and soon after decided to demolish Surrey House in order to build the Horniman Free Museum. He gave this and the land around his new house, Surrey Mount, some 100 yards further up the hill, to the London County Council in 1901 on two conditions: first that the museum and garden should be free and second that they should be treated as a unity, one supporting the other. 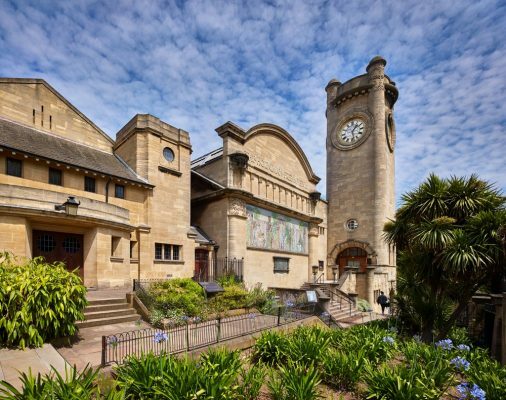 The Horniman Museum opened in 1901 and holds some 350,000 objects. The Horniman has three main collections: Natural History with 250,000 specimens; World Cultures (Anthropology) comprising 80,000 objects and Musical Instruments with over 8,500 instruments. In recognition of their national importance, the Anthropology and Musical Instrument collections have been awarded Designated status.